and by His Resurrection granted life unto us. Glory unto Him for all ages. Amen. Praise the Lord, O Jerusalem. Christ is risen from the dead! Alleluia! Come ye people, sing to the Lord: Alleluia! To Him who is risen from the dead, Alleluia! To Him who has enlightened the world, Alleluia! Who is like unto the Lord our God? He was believed on in the world, and ascended in glory. with the angels, saying: Holy, Holy, Holy art Thou O Lord our God. Scripture Readings for Sunday, April 8th. In the beginning was the Word, and the Word was with God, and the Word was God. He was in the beginning with God. All things came into being through him, and without him not one thing came into being. What has come into being in him was life, and the life was the light of all people. The light shines in the darkness, and the darkness did not overcome it. There was a man sent from God, whose name was John. He came as a witness to testify to the light, so that all might believe through him. He himself was not the light, but he came to testify to the light. The true light, which enlightens everyone, was coming into the world. He was in the world, and the world came into being through him; yet the world did not know him. He came to what was his own, and his own people did not accept him. But to all who received him, who believed in his name, he gave power to become children of God, who were born, not of blood or of the will of the flesh or of the will of man, but of God. And the Word became flesh and lived among us, and we have seen his glory, the glory as of a father’s only son, full of grace and truth. (John testified to him and cried out, “This was he of whom I said, ‘He who comes after me ranks ahead of me because he was before me.’ “) From his fullness we have all received, grace upon grace. The law indeed was given through Moses; grace and truth came through Jesus Christ. Not many of you should become teachers, my brothers and sisters, for you know that we who teach will be judged with greater strictness. For all of us make many mistakes. Anyone who makes no mistakes in speaking is perfect, able to keep the whole body in check with a bridle. If we put bits into the mouths of horses to make them obey us, we guide their whole bodies. Or look at ships: though they are so large that it takes strong winds to drive them, yet they are guided by a very small rudder wherever the will of the pilot directs. So also the tongue is a small member, yet it boasts of great exploits. How great a forest is set ablaze by a small fire! And the tongue is a fire. The tongue is placed among our members as a world of iniquity; it stains the whole body, sets on fire the cycle of nature, and is itself set on fire by hell. For every species of beast and bird, of reptile and sea creature, can be tamed and has been tamed by the human species, but no one can tame the tongue–a restless evil, full of deadly poison. With it we bless the Lord and Father, and with it we curse those who are made in the likeness of God. From the same mouth come blessing and cursing. My brothers and sisters, this ought not to be so. Does a spring pour forth from the same opening both fresh and brackish water? Can a fig tree, my brothers and sisters, yield olives, or a grapevine figs? No more can salt water yield fresh. The first Sunday after Easter is called “New Sunday,” because it is the first Sunday of the new creation realized through the glorious Resurrection of our Lord and Savior, Jesus Christ. This week analyze your life and decided if you truly want to be a part of this new creation in our Lord. Home Blessing and Visitations: If any wishes to have their home blessed, please contact Der Krikor at 774-292-9116 or by email at frkrikor@holytranslators.org..
Bible Study will meet this Tuesday, April 10thfrom 10:30-11:30AM. Readings for this Sunday’s Badarak: James 3:1-12 and John 1:1-17. Readings for next Sunday’s Badarak: 1Peter 2:1-10 and John 2:23-3:12. Special Hokehankist on Mothers Day: We will offer special “Hokehankist” prayers for all deceased mothers, grandmothers and godmothers on Sunday, May 13th in honor of Mothers Day. 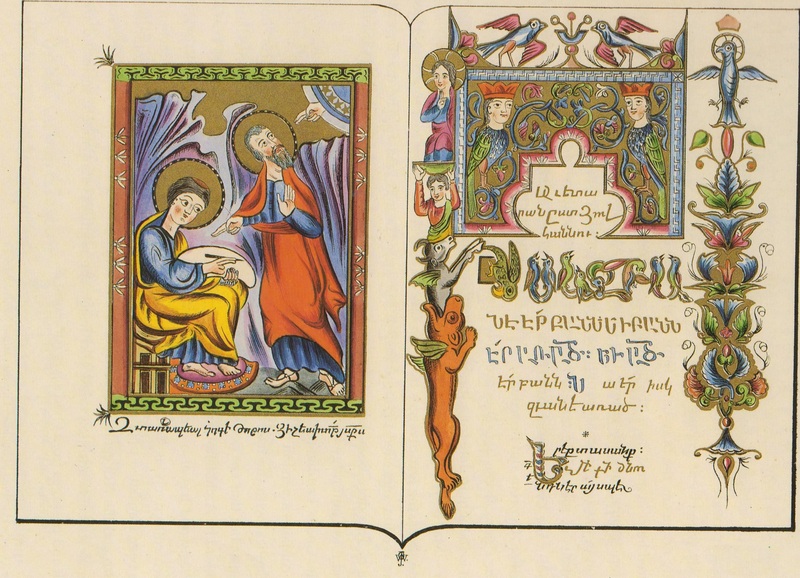 Please email your request to frkrikor@holytranslators.org or fill out a Requiem form at fellowship. Donations may be sent to the Church or brought with you and given to Scott Zaleski. Memo: Mothers Day Hokehankist. Sunday School Graduation and Promotion Day will take place on Sunday, June 10th. 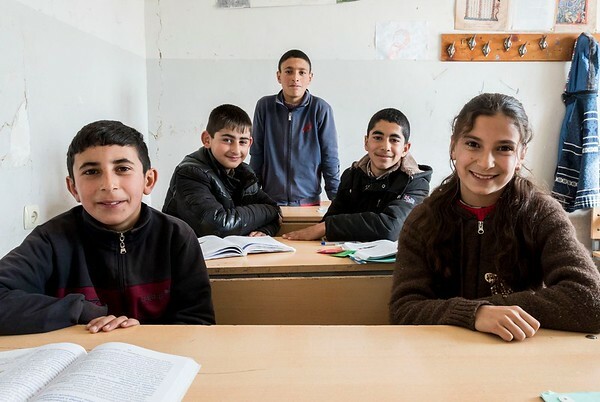 Although public schools are free of charge, schools located outside of Yerevan typically lack both teachers and well-equipped classrooms. This means that many schools are without the proper resources needed to provide a high educational standard and equal access to education for students. Teach for Armenia, a member of the Teach for All global network, aims to combat this widespread issue by providing equal educational opportunity to all children in Armenia through the recruitment and training of exceptional individuals to teach in schools located in underprivileged communities for a minimum of two years. In the three years since Teach for Armenia was founded, many fellows—teachers of geography, biology, physics, chemistry and English language — have filled these vacancies, and thus brought higher-quality education to these regions of Armenia, where they have helped children to grow and fulfill their curiosity toward these subjects. Lusine Vardumyan teaches at Getashen Village School in the Armavir Province. The village is located 70 km away from Yerevan, close to Turkish border. Since the school does not have any actual science labs, only theory can be taught in class. This impacts the level of interest toward these subjects, and results in a very low number of students who actually want to pursue science education and eventual careers in science. Lusine had the idea of building a physics and chemistry lab at the Getashen school so that students could have the opportunity to study the subjects through hands-on experimentation. Venera Abovyan is another Teach for Armenia fellow who teaches biology and chemistry at Shamiram Village School in Aragatsotn Province. For years, children in the school didn’t have biology and chemistry classes because there was no one to teach them. Then Venera arrived. “It’s very difficult for children to learn these two completely new courses in theory without having a lab where they can see everything in practice and do experiments,” said Venera, who believes a science lab could be a significant investment for the betterment of the school’s students. The labs will ultimately help to boost the resources of two schools, and also spark the curiosity of the children who are eager to learn. Join Ayo! and say yes to brighter educational prospects for Armenia’s children!